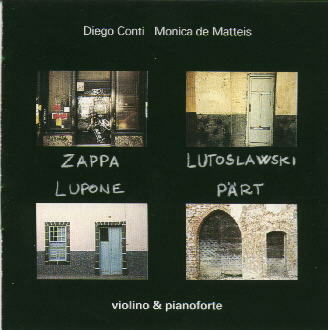 Diego Conti & Monica de Matteis recorded a number of Zappa compositions. this is a pure classical rendition of songs from zappa's song book. 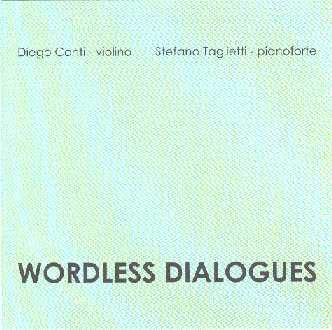 sounds like a zappa sonata for violin and piano with lmtwtb as a real finale. nice one to turn 'serious classical' people into zappa's music! "a great and perhaps a unic linguist, he doesn't mention the thousand styles which he uses in his own artistic production; his laguage "is" those thousand styles, and each of those styles is zappa. his way is many ways." 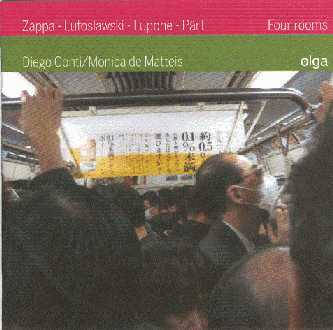 i've read the nice words c.pater wrote about my recording of zappa's music, and i would just like to say that if someone wants to buy this cd, he can send an e-mail to: diegoconti@tiscalinet. visit me, if you like!! !